The Alberta Court of Appeal (ABCA) decision raises a number of questions that have to be resolved. Generally speaking, courts have been loath to get involved in church disputes. 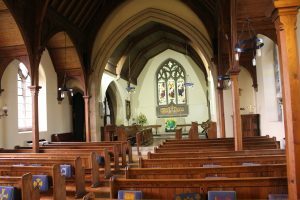 Courts have no expertise in dealing with theological matters that are often the underlying cause of why members of a church are asked (or told) to leave. Imagine a court discussing topics like the proper understanding of the doctrine of the Trinity, or the process of salvation. Such matters were not part of the law school curriculum. The point is a court is incompetent in dealing with religious disputes. The majority of the ABCA decided that the courts have jurisdiction over procedural matters. In law we call it issues of “natural justice.” That is to say, the law protects people in organizations to the extent that the organization’s own internal rules of procedure were properly followed. There is a reasonable argument to be made for that position. However, a church is not a public body that should be subject to judicial review. Further, the ABCA was of the view that a church could be sued for economic loss of a member being expelled. This is new ground for Canadian law – new ground for any law of a western democracy. Membership in a religious community is voluntary. No one is forced to stay. If a person is no longer willing to abide by the teachings then they are free to go and make their way elsewhere. If that person limited his business to only those within the church community and subsequently finds that none of his former religionists will do business with him that is not the congregation’s responsibility. He took that risk himself when he so limited his business. Religious communities have been immune from litigation of former members who were asked to leave. Membership in a religious community is privilege not a right. Allowing courts jurisdiction to hear judicial review applications of such matters is to entangle the court unnecessarily in the internal affairs of religion. If a court is granted the right to hear such a review it is then able to grant orders of relief against the religious community for making religious decisions about membership. The law has no business there. It is a good thing that the SCC decided to hear the case. Obviously, our highest Court understands the intricate issues that are in play in this case. 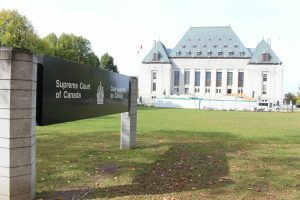 Thoughts on Supreme Court of Canada Decides to Hear The Wall Case: Is A Church Member Entitled To Sue A Congregation Because He Was Disfellowshipped? Dont you mean “he ABCA was of the view that a church could NOT be sued for economic loss of a member being expelled.” ??? Hi Jordan – unfortunately the AB Court of Appeal agreed with the lower court that the courts do have jurisdiction to hear this case. One judge of the three AB Court of Appeal was of the view that courts had no jurisdiction. Therefore, the Supreme Court of Canada will now have to decide the matter. There is a typo in the second to last paragraph: “religious community’s” should read: “religious communities”. Got it and now corrected! Thanks! If I have been disfellowshipped from my church without due process, do I have any legal recourse to appeal the​ decision?